I love the simplicity of the design mixed with the striking color contrast. Add to that the amazing photography skills of LPQ and I'm in love with the photo above!! 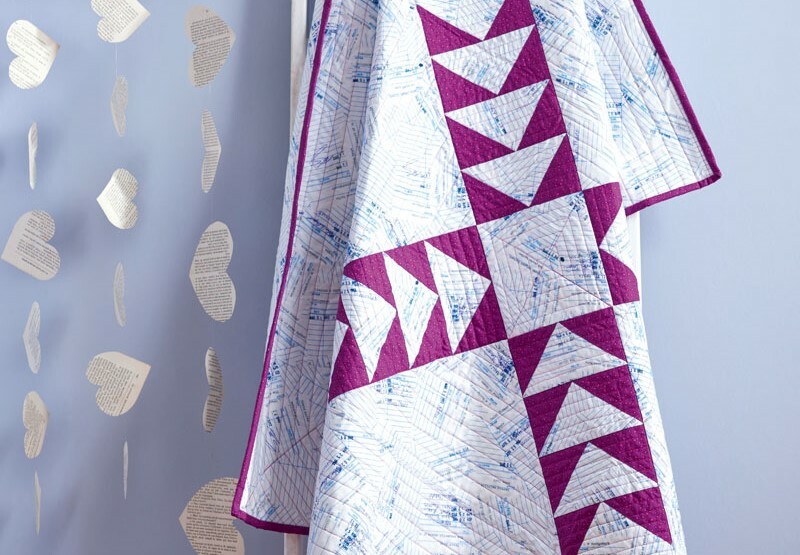 You can find Star Crossed in Issue 47 of Love Patchwork & Quilting on sale today in the UK (or online) and on US newsstands in 4-6 weeks. I also noticed how well that cover quilt coordinates with Star Crossed. Those seashells are too cute!